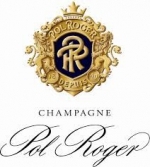 Pol Roger has been family owned since 1849 and continues to produce some of the most consistent sparkling in Champagne, the house style is one of elegant power with the NV Reserve no different. The wine is a golden yellow in colour, the nose is buttery and steeped in stone fruits, accentuated by a touch of marmalade and brioche. Impressive line of acidity on the palate that presents an attractive interplay between lemon pith and orange zest acidity. The wine has creaminess to finish and best consumed over the next year.